Master Recyclers are a volunteer corps who inspire neighbors and coworkers into action. the global markets in which recycables are bought and sold. 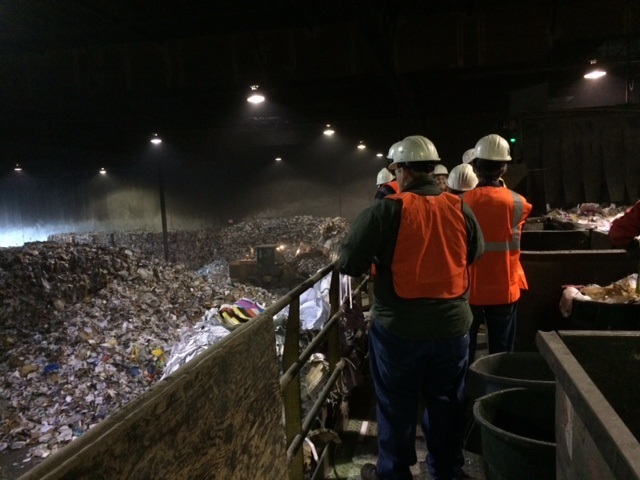 Tour recycling centers, compost facilities, and hazardous and municipal waste sites to see firsthand how these systems work. And connect to resources and learn skills that will help you make meaningful change for yourself and your community. You will be a part of a team of almost 1,650 Master Recyclers from Forest Grove to downtown Portland, St Johns to Canby and Sandy. To earn your Master Recycler certification, volunteer 30 hours to inspire action in your own community. Staff information booths on waste prevention, recycling, greener cleaners and compost/worm bins, or help with Repair Fairs, event recycling, Green School Certifications and green teams at work. Community organizations can request help from a Master Recycler by completing the volunteer request form.